I was inspired by the colors, textures, cuts and styles of the many beautiful women. So of course, some clutches came to mind while I was watching the show. Yes, they telecast it here live as well. It’s the only awards show that I can watch on TV live in Viet Nam. All other shows like the Golden Globes(R) and Grammys(R) are not televised here so I watch it on my Mac via a live stream that I dig on the net to find. I watch zero sports and ALL awards shows (Country Music, Emmy, People’s Choice… all of it). Eye candy. As a huge movie fan, the Oscars is the biggest night for me. I love seeing the film clips, hearing the speeches, watching the “In Memoriam” piece (hey, wasn’t Esperanza Spalding great? )… hey pretty much all of it. 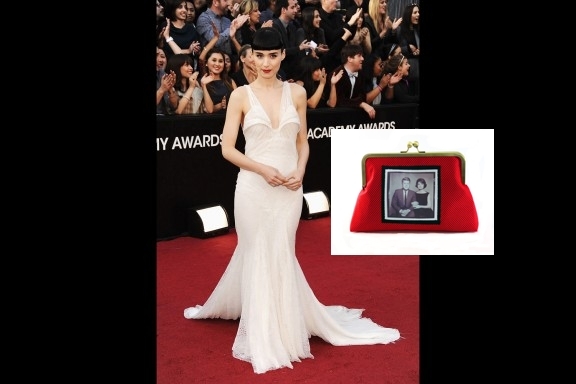 So here are a few of my favorite gowns for various reasons along with some clutches that popped into mind. They are not meant to go with these gowns rather I’ve paired them with clutches whose characteristics are evoked by the gowns featured. 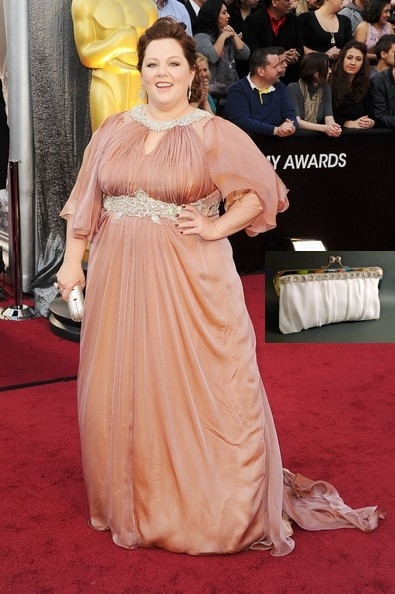 Check out the gowns and I hope they will inspire you to create some great clutches for the spring and bridal seasons! 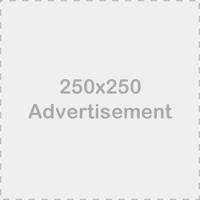 Click on the images for a bigger view. Please note that all photos are courtesy of Getty Images. Best pleating. Clutch by http://www.etsy.com/shop/JCarterHandmade. Rooney Mara. First movie in ages that I had to fast forward through a scene because I couldn’t stomach it. Michelle Williams slays me in every film she’s in. Time for a comedy, Michelle! 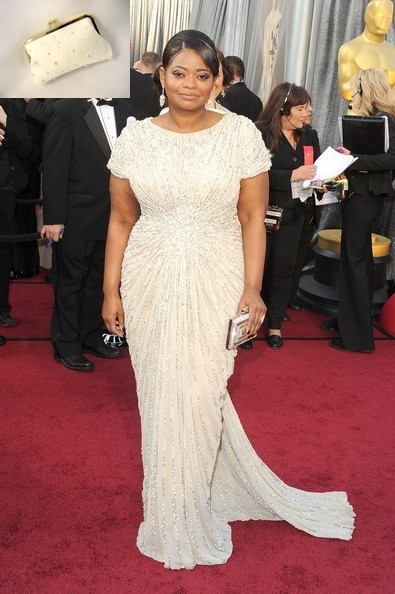 Octavia Spencer looks amazing! Have you seen “The Help”? It’ll stay with you long past the viewing. Jane Seymour looks amazing at any age! I love this woman more than the dress, but the bejeweling brings some sparkle to an odd-colored gown. Miss her as Sookie! Gwyneth Paltrow. My favorite look for this body type. Both the cape and floral embellishment enhance the simplicity in the dress and clutch without overpowering either.